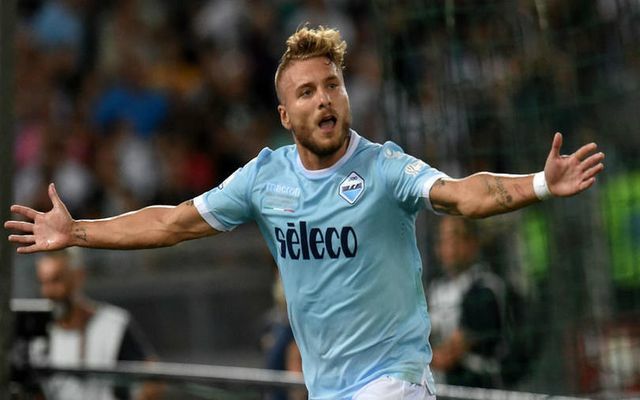 Tottenham are reportedly planning a way to splash out £100m on Lazio pair Sergej Milinkovic-Savic and Ciro Immobile. It’s been a frustrating spell for Spurs as although they’ve made great progress under Mauricio Pochettino, they’ve continued to fall short of winning major trophies. Having been outside contenders for the Premier League title not so long ago, they’ve slipped back into a battle for a top four finish this year while they stumbled in the FA Cup semi-finals again. In turn, it could take some key but difficult moves to finally take them to the next level, and according to The Mirror, they’re ready to offload some important individuals in order to land Milinkovic-Savic and Immobile in a £100m double deal. While they’re certainly looking in the right place, it seems a pretty ambitious plan as Lazio will surely have no interest in losing two of their most important players as both have been fundamental in their pursuit of Champions League football this season. Immobile has scored 41 goals in 45 games to establish himself as one of the most prolific forwards in Europe, while Milinkovic-Savic has a growing reputation of being one of the most promising players in Europe at 23 years of age. With 12 goals and nine assists in 44 outings this season, the Serbian international has undoubtedly shown his quality and with his whole career still ahead of him, he will hope to only develop and improve his game further. While Immobile’s arrival would undoubtedly lessen the burden on Harry Kane’s shoulders to score the majority of Tottenham’s goals, his Lazio teammate would bolster their midfield options and add real quality in that department. As a result, Spurs would be adding important reinforcements, but it remains to be seen if such moves materialise given how crucial the pair are to their current side.